During the 2017/18 season, Mr. Peled will continue to share with audiences around the globe the sound of the historic cello of Pablo Casals. Mrs. Marta Casals Istomin, the widow of Maestro Casals, personally handed him this historic instrument, a Goffriler ca. 1733. Some of the upcoming highlights include Bach Suite cycles in the USA, Europe and Israel, a new Naxos installment with the Tempest Trio, a debut collaboration with Maestra Marin Alsop, performing the Shostakovich Concerto, Penderecki’s Second Cello Concerto conducted by the legendary composer himself, a release of the Brahms Cello Sonatas, Schubert’s Arpeggione Sonata recorded on the Casals cello, and a musical celebration of Beethoven’s cello/piano sonatas around the world to commemorate his 250th anniversary. Mr. Peled has performed as a soloist with many orchestras and in the world’s major concert halls such as: Carnegie Hall and Alice Tully Hall, New York; Salle Gaveau, Paris; Wigmore Hall, London; Konzerthaus, Berlin; and Tel Aviv’s Mann Auditorium. Following his enthusiastically received Alice Tully Hall concerto debut playing the Hindemith cello concerto, The New York Times stated: “Glowing tone, a seductive timbre and an emotionally pointed approach to phrasing that made you want to hear him again.” Mr. Peled’s extensive discography includes critically acclaimed CDs on the Naxos, Centaur, and Delos Labels. His recent release of Casals Homage which features the legendary 1915 Pablo Casals program was a best selling feature on the online iTunes Store! As an active chamber musician, Peled is a founding member of the famed Tempest Trio with pianist, Alon Goldstein and violinist, Ilya Kaler. Their Dvorak CD on Naxos has been described as “The best ‘Dumky’ on disk ever!” The Tempest Trio returns to the recording studio this fall to record another CD for Naxos. Mr. Peled is also a frequent guest artist, performing and giving master classes at prestigious summer music festivals such as the Marlboro Music Festival, Newport Music Festival, Seattle Chamber Music Festival, Heifetz International Music Institute, Schleswig Holstein and Euro Arts Festivals in Germany, Gotland Festival in Sweden, Prussia Cove Festival in England, The Violoncello Forum in Spain, and Keshet Eilon Festival in Israel, among others. 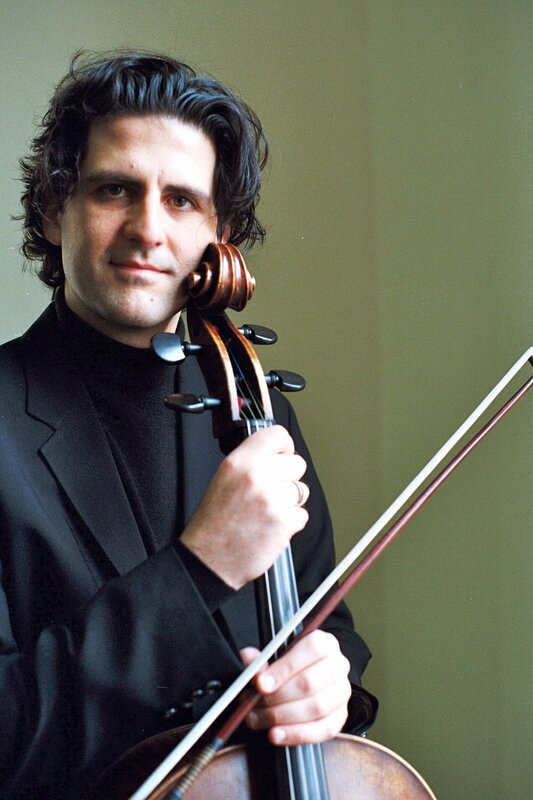 Amit Peled has been featured on television and radio stations throughout the world, including NPR’s “Performance Today,” WGBH Boston, WQXR New York, WFMT Chicago, Deutschland Radio Berlin, Radio France, Swedish National Radio & TV, and Israeli National Radio & TV. One of the most sought after cello pedagogues, Mr. Peled is a Professor at the Peabody Conservatory of Music of the Johns Hopkins University.